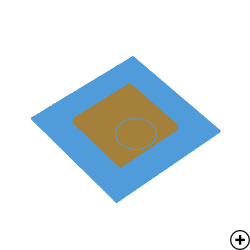 Image of the Patch Square Truncated Capacitively pin fed. 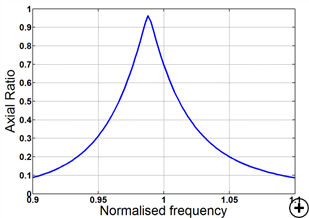 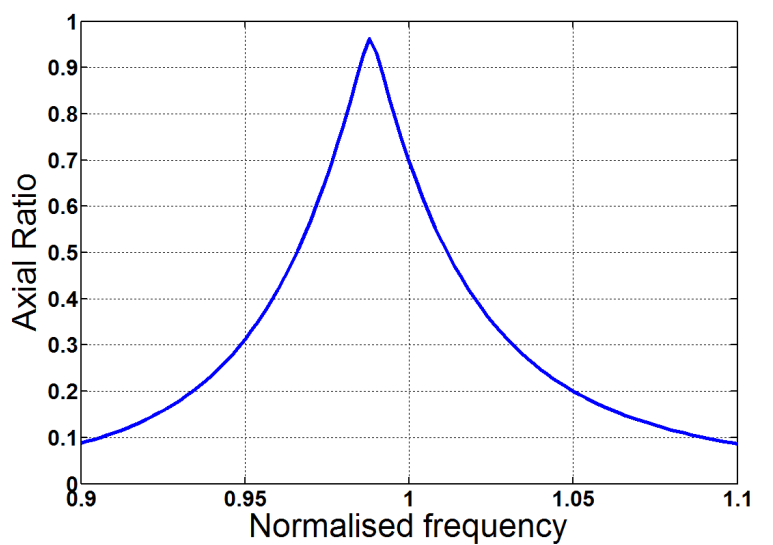 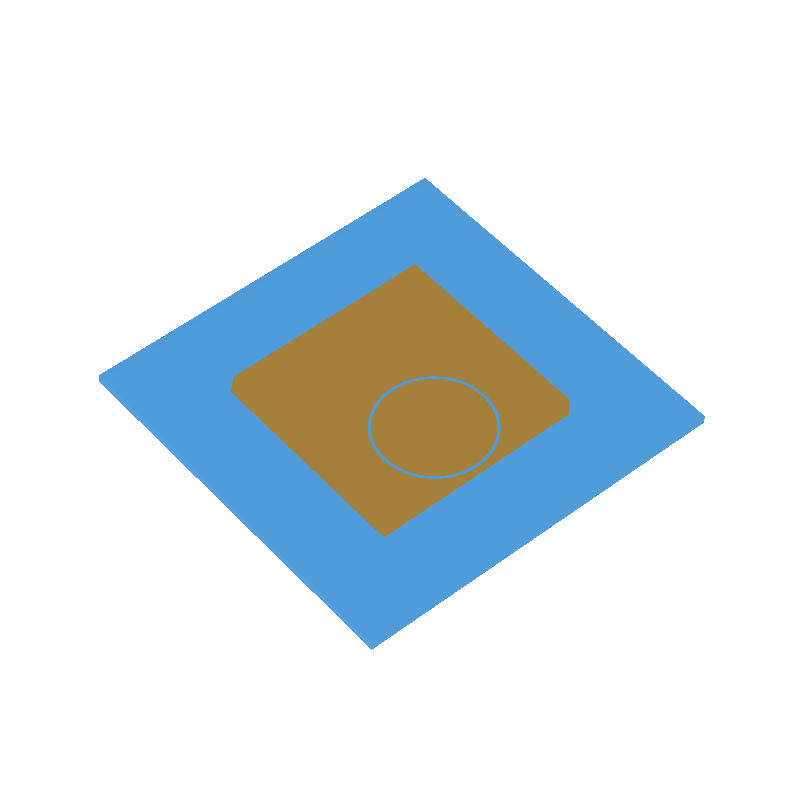 Due to the typically low bandwidth of patch antennas, circularly polarised patches (such as the truncated rectangular patch) may not achieve good axial ratio at the same frequency that a good impedance match is achieved. 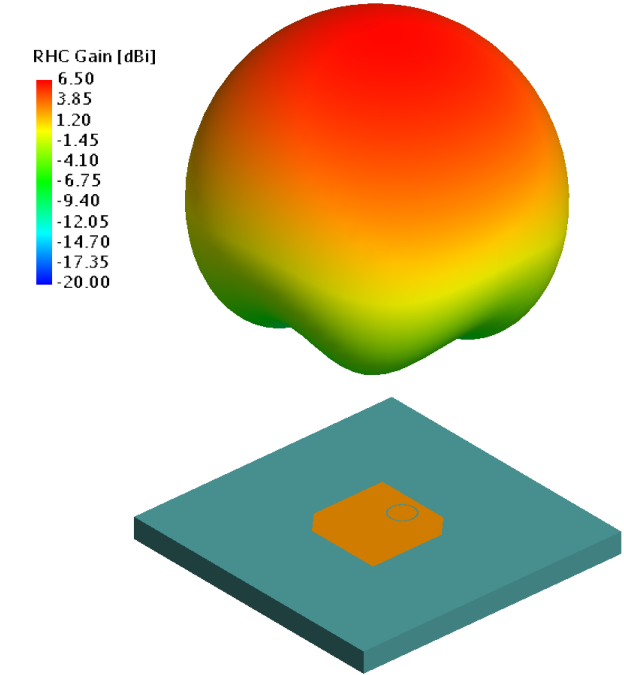 By increasing the thickness of the substrate, the impedance bandwidth of the patch may be increased, thereby improving the impedance match at the point of optimal axial ratio. 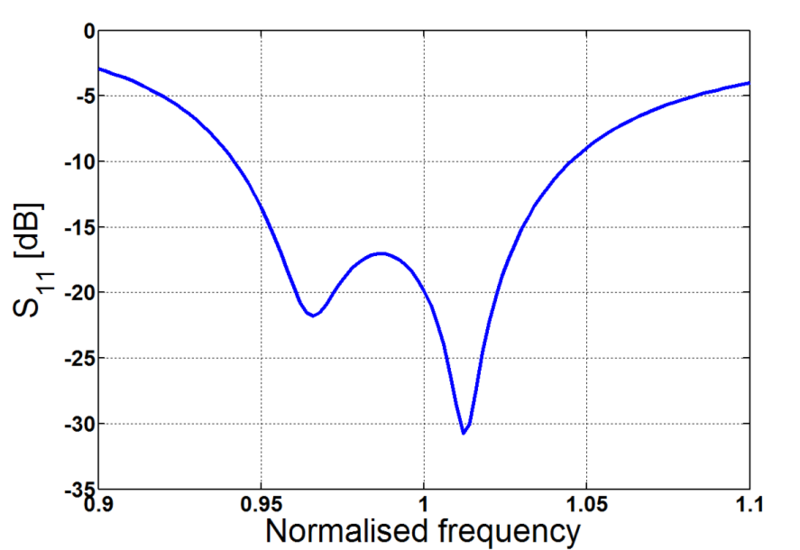 With a pin-feed, however, the increase in pin-inductance with a thicker substrate limits this impact. 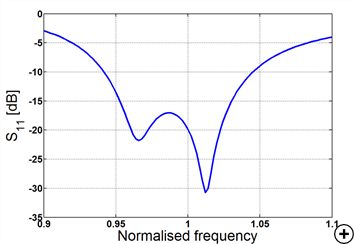 One approach to negating the impact of this pin-inductance is by introducing a series capacitance - realized as an annular slot on the patch - centred on the connection point of the feed-pin. 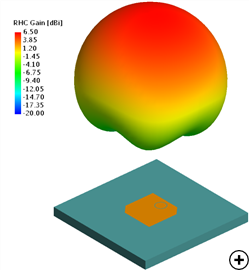 By using this configuration, a practical antenna on a thick substrate with wide impedance bandwidth and nearly-perfect circular polarisation at broadside can be achieved.